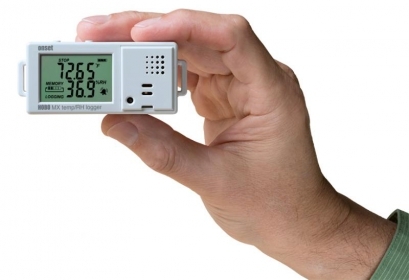 The HOBO MX1101 Temp/RH data logger records temperature and relative humidity (+/- 2% accuracy typical) in indoor environments with its integrated sensors. It works with the free HoboMobile App for iOS® (v7.1 or newer), making it simple to configure and manage the data from an iPhone® or iPad®. The Android version of HoboMobile App is also available (v4.4 or newer). Set up and start monitoring in minutes!